Open teardrops with diamond detail; 0.12 total carat weight. 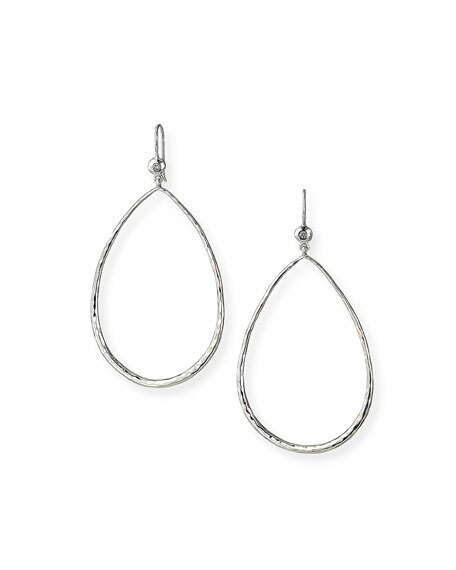 Ippolita bolt earrings from the Stardust Collection. Polished 18-karat yellow gold frame and settings. White diamond pavé lightning bolt silhouette. Ippolita bolt earrings from the Stardust Collection. Polished 18-karat yellow gold frame and settings. White diamond pavé lightning bolt silhouette. 0.12 total diamond carat weight. Post backs for pierced ears.